The World Bank expects India’s GDP (Gross Domestic Product) to witness a growth of 7.3 per cent in the fiscal year 2018-19 and 7.5 per cent in the next two years on account of a surge in consumption and investments. For the next two years, India will continue to be the fastest growing major economy in the world. 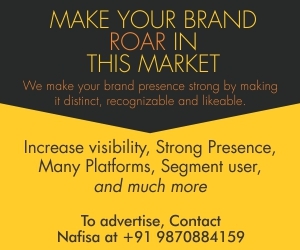 The rapid consumption of a burgeoning population is fueling the need for development of retail, hospitality, manufacturing plants, commercial properties, Information Technology (IT) and Information Technology enabled Services (ITES) industry, e-commerce sector, etc. TechSci Research Report estimates that the Indian HVAC market will surpass USD 7.7 billion by 2022, on account of rising need for energy efficient HVAC systems, increasing construction activities, surging infrastructure-based developments and growing replacement demand for HVAC systems. Moreover, rising industrialisation, improving standard of living and surging purchasing power of people are some of the other major reasons expected to boost demand for HVAC systems in India during the forecast period. Rapid industrialisation and the growth of the service sector hold the promise of further rapid growth of heating, ventilation and air conditioning (HVAC) systems in manufacturing plants, warehouses, pharmaceutical industry, IT and ITES companies. “The government investment in infrastructure development, smart cities development, mass education and healthcare, tourism and transportation segments, has generated opportunities for HVAC market in India. Rapid climate change also attracts more demand for HVAC as Asia has hot and humid climatic conditions along with a growing urban population,” states Manish Dhamija, CEO, VTS India. Industries prefer to have its HVAC equipment connected to building management system or standalone automation system which eases the operation and maintenance process of the equipment. The new trends are more focused on energy saving, improved air quality, thereby categorising HVAC as a technically advanced industry, he further adds. The major trend that the global industrial HVAC industry is experiencing is the growing adoption of R32 refrigerant in air conditioners. It seems that the global industrial HVAC market is moving towards the adoption of newer, advanced refrigerants that have better efficiency and are more environment-friendly than traditional refrigerants. “Using natural refrigerants – especially hydrocarbons – is the ideal solution for the future of refrigeration by sustainably aligning economic and environmental needs. 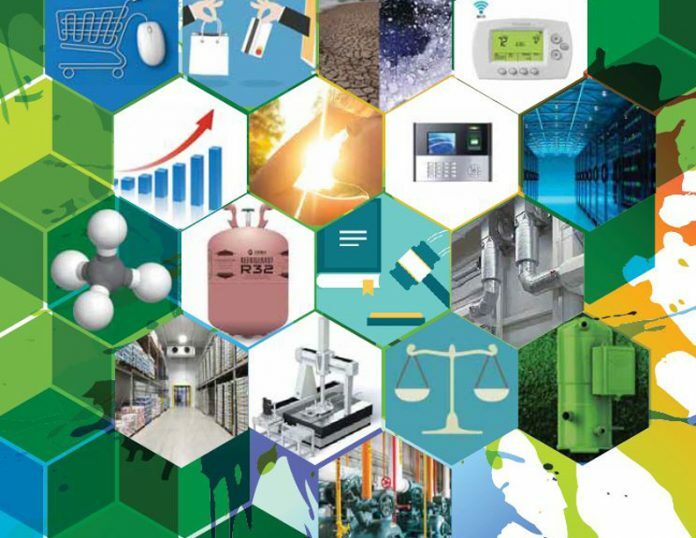 Moving to natural refrigerants not only helps with compliance of future standards, but it also makes it easier to service equipment and be more energy efficient and environmentally friendly,” believes Guilherme Almeida, Marketing and Strategic Planning Director, Embraco. The need for energy-efficient equipment for different industrial processes has increased as end-user industries have been increasing their production volume to cater to the growing demand. New refrigerants, the use of intelligent electronics in system components, increasing energy efficiency requirements for air-conditioning and refrigeration systems, stricter regulations, new system concepts and client-specific solutions are all challenges facing the HVAC industry. It is crucial to have the right refrigerant for each application and environment, informs Harvinder Bhatia, Managing Director, Bitzer India. E-commerce boom has led to the development of warehouses of fulfilment centres where products are stored by the manufacturers and then distributed to the consumers. It is very important to maintain the ambient air temperature or humidity to the desired levels for staff to work effectively and to maintain the Indoor Air Quality (IAQ) of the space to the acceptable standards. Further in cold chain warehouses, perishable products can be damaged due to lack of necessary temperature maintenance. 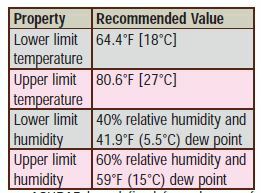 “ASHRAE 62.1 2010 lays down the acceptable ventilation rates for warehouses. It is typically 10 cfm/per person but will depend on other factors as well such as outside air quality, type of work etc. The temperature that is typically maintained in warehouses is around 28-degree C with a variance of 1 – 2 degrees. While no humidity standards are defined for warehouses specifically, the design aims for a humidity range of 55 – 65 per cent,” informs Aneesh Kadyan, Executive Director – Operations, CBRE South Asia Pvt Ltd. Programmable thermostats can be applied in warehouses with time clocks, setbacks and demand control ventilation depending upon the needs of stored products. It helps to reduce energy requirements of HVAC system. Ammonia refrigeration for air conditioning in large, non-refrigerated warehouses can provide efficient cooling to large spaces and create a comfortable working environment for its employees. The boom in IT industry has led to the development of data centres that require more cooling. Many servers run round the clock in data centres generating heat. The slightest dip or rise in temperature may lead to the malfunctioning of servers thus impacting its effectiveness. Further, dust particles can also wreak havoc for servers. Hence, it is very important to keep a tab on air quality inside data centres. Thus, maintain ideal temperature is crucial for proper performance of servers. IT companies can monitor its HVAC bills by adopting alternative forms of practical, ambient cooling i.e. air-side or water-side economisers. Large quantities of outdoor air requirements. The pharmaceutical industry, food industry, petrochemical plants need such requirements. Temperature, relative humidity and ventilation drive the quality of pharmaceutical products during its manufacture and storage. Further, microbial contamination can take a toll on the products. As a driver of innovation in the air-conditioning and refrigeration industry, Bitzer has been offering climate-friendly, energy-efficient solutions for a whole host of applications for decades. These are ideal for a populous country like India, where the transition to sustainable, intelligent technologies is a high priority due to the significant environmental impact. It is going to take brand-new system concepts and further development of existing ones to phase out high-GWP refrigerants, which have always been the ones most commonly used. Bitzer offers an extensive portfolio of energy-efficient and environmentally friendly HVAC solutions for industrial segments. Bitzer Orbit + and ORBIT FIT series take compressor performance to a new level, enabling users to meet the strictest energy efficiency standards. Orbit+ with line start permanent magnet motor boosts scroll chiller and heat pump system efficiency. The economiser operation of ORBIT FIT (Flexible Injection Technology) enlarges the application envelope and increases capacity as well as efficiency. All ORBIT series can be used with Bitzer Advanced Header Technology (BAHT) in more than 700 tandem and trio combinations which can also be uneven, meaning they combine different compressor types. The technology guarantees proper compressor lubrication and reduces costs, increasing overall system economy. All series are suitable for A1 refrigerants like R410A as well as for the low-GWP A2L refrigerants R454B, R452B and R32. Apart from products using low-GWP refrigerants, another great possibility to reduce energy costs is to use frequency inverter driven solutions, with which users can smoothly adjust a compressor’s capacity to meet the actual requirements and save energy. According to Bhatia, if the motor is controlled by a frequency inverter, the frequency of the starting current and thus the speed of the motor can be adapted to the required refrigerating capacity. If less energy is required at certain points in the process, the frequency inverter can adjust the electrical frequency and slow the motor down. This ensures that the motor consumes only the energy the process needs right now. Embraco drives its strategy for the future in its drives – energy efficiency, natural refrigerants, low noise, sustainability, competitiveness and quality in food preservation. Another one is the environmental consciousness which it has driven more energy-efficient systems and regulations. Based on the worldwide need to reduce energy consumption, Embraco developed variable speed solutions, called Fullmotion technology. With the launch of FMX last year, we brought to the market the most optimised and competitive solution with advantages for new refrigerator designs, mainly those with limited internal space, informs Guilherme Almeida. The government’s congenial policies have been beneficial in giving an uplift to all major industries equipment players setting up their manufacturing facilities and R&D centers in India. Thus, momentum in industrialisation is anticipated to drive growth in HVAC industry. As result, India as an emerging market has witnessed inventions, technological advancements and applications. “We foresee an aggressive growth in new, upcoming industries and in turn increase in demand of the HVAC systems. Quality being the prime focus for all the customers, HVAC industry will see a continuously rising graph contributing to the industrial sector,” claims Manish Dhamija from VTS India. “With the requirement of warehouses set to increase exponentially, the need for more advanced ventilation systems will arise and further help in making the supply chain more effective,” asserts Aneesh Kadyan.